Your case went to trial, but you were found not guilty of committing the offense. In these situations where you are in fact innocent, you may qualify for a Factual Innocence Motion under Penal Code section 851.8 to have your arrest record sealed and destroyed. What is a Factual Innocence Motion? Under California Penal Code section 851.8[i], you may be able to obtain a Factual Innocence Motion in order to have your criminal record sealed and destroyed. If your factual innocence motion is granted, that means that the record of your arrest and prosecution will be sealed and destroyed by the law enforcement agency having jurisdiction over your case, the prosecutor’s office handling your case, and the Department of Justice. Wrongfully accused? We can help through a factual innocence motion. The arresting police department and Department of Justice will be ordered to seal all arrest reports, booking photographs, and other evidence obtained against you for three years if you are deemed factually innocent. After that three year period, the police department and Department of Justice will be required to destroy the record pertaining to your arrest. Also, the police department and Department of Justice will be required to request the destruction of any record of your arrest which they have given to any local, state, or federal agency or other entity. This means that the record of your arrest and prosecution will no longer appear on any agency’s record within the State of California. Unlike an expungement, your criminal record will not show that you were arrested or prosecuted for a crime. You do not need to be arrested to request a Factual Innocence Motion; you can request one even if you were detained by the police. Under California Penal Code section 851.8(m), you may petition for a Factual Innocence Motion even if you were merely detained for suspicion of committing an offense. Under California Penal Code section 849.5[ii] and 851.6[iii], if you were arrested and released without having any charges filed against you, the arrest shall be deemed a detention, and not an arrest. Thus, your criminal record will not show that you have been arrested for a crime, only that you were detained. How can I petition for a Factual Innocence Motion? If you believe that you were improperly accused of committing a crime, your attorney will be able to help you request a Factual Innocence Motion. First, you must petition the arresting law enforcement agency to destroy its record of the arrest. You must send the petition requesting a Factual Innocence Motion within two years of your arrest. If the law enforcement agency does not respond to your petition within 60 days after receiving your petition, 60 days after the statute of limitations has run, or if the agency denies your petition, you may petition the court with jurisdiction over your case to grant an order requiring that the law enforcement agency seal and destroy its record of your arrest. The court will schedule a hearing to determine whether or not you are factually innocent. In this court hearing, your attorney can argue for your innocence by providing the court with declarations, affidavits, police reports, or any other relevant evidence. You will have the initial burden of proof to show that no reasonable cause exists to believe that you committed the offense for which the arrest was made. If your attorney is able to show that no reasonable cause exists to believe that you committed the offense, then the burden of proof will be on the prosecutor and arresting police officer to show that reasonable cause does exist to show you did commit the offense. Based on the evidence that the court hears, it will then decide whether to grant or deny your petition for factual innocence. What effect will a Factual Innocence Motion have on my job prospects? If your petition for a Factual Innocence Motion is successful, future prospective employers will not be able to see any record of your arrest. If you successfully petition for a Factual Innocence Motion and the judge grants an order requiring the police department, prosecutor, and Department of Justice to seal your arrest record, your prospective employers will not be able to see the fact that you were arrested. If your prospective employer conducts a background check on you, they will not see any record of your arrest or prosecution. Although the law enforcement agency, prosecutor, and Department of Justice still maintain a copy of your arrest record for three years after your successful Factual Innocence Motion, the record will be sealed and cannot be disclosed to prospective employers. After that three year period, the record will be destroyed and those agencies will not have any record of your arrest. If your prospective employer asks you whether you have been arrested or convicted of a crime, you can legally tell them that you have not, after your Factual Innocence Motion has been granted. How can Wallin & Klarich help me with my Factual Innocence Motion? At Wallin & Klarich, we understand that being arrested for a crime that you did not commit can have a devastating impact on your life. We can help you avoid these consequences by petitioning the law enforcement agency and court to grant your Factual Innocence Motion. We will be there for you through every step of the process to fight for your innocence. Our attorneys have been helping clients successfully petition for a Factual Innocence Motion for over 30 years. We have the skill and experience that is required to help you win your Factual Innocence Motion. The attorneys at Wallin & Klarich will argue that there was no reasonable cause to arrest you by using every piece of evidence that is available. 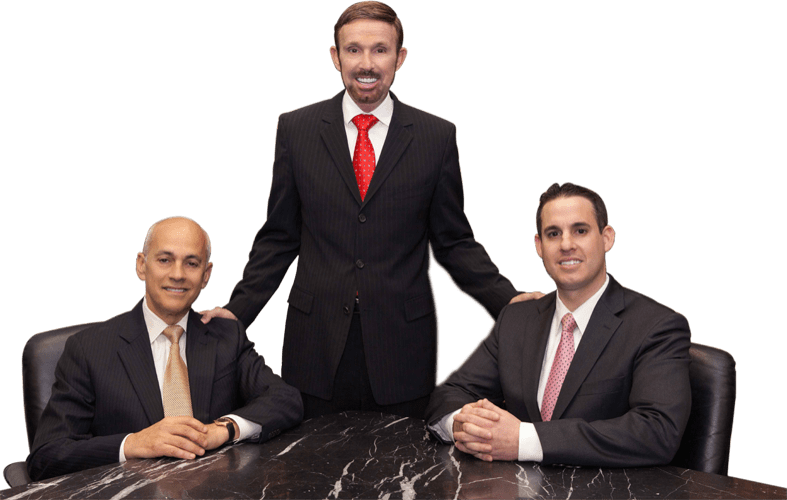 You will be in good hands when you are represented by Wallin & Klarich. Please call us today at (877) 4-NO JAIL or (877) 466-5245. We will be there when you call. What are the Benefits of a Factual Innocence Motion?